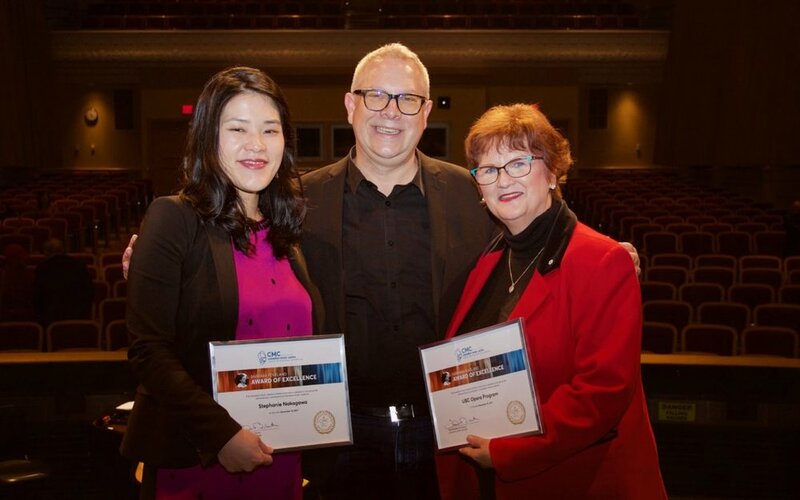 In November, director Prof. Nancy Hermiston won a Barbara Pentland Award of Excellent for the UBC Opera’s many commissions, performances, and support of Canadian music. Join UBC Opera for the upcoming production of Puccini’s Il Tabarro/Gianni Schicchi on June 21–24, 2018. Eugene Onegin has always been important to baritone Krzysztof Biernacki (DMA ’06). While pursuing his doctorate at the School of Music, he cut his teeth in the role of the arrogant and tragic title character of Pyotr Ilyich Tchaikovsky’s 1878 opera. “[Onegin] cannot be compared to anything else in the operatic canon. It’s full of sensitive lyricism, fantastic melodies and real passion. The language is absolutely gorgeous, and Tchaikovsky really captured the essence of Russian life in the 19th century,” Biernacki says. Since graduating a decade ago, Biernacki has performed in and directed a wide range of productions across Canada, the U.S. and Europe, from La Boheme to Die Fledermaus, Dido and Aeneas to The Consul. His credits include principal roles with Vancouver Opera, Calgary Opera, and Manitoba Opera. In 2007 he established the University of Florida Opera Ensemble and in 2008 made his debut at Carnegie Hall with the UNF Wind Ensemble. But Onegin remains a touchstone, and UBC his home away from home. When the opportunity to return to Vancouver this year as guest director for UBC Opera’s production of the classic Russian opera, he jumped at the chance: “I was hugely grateful for the invitation,” he says. Recently, Biernacki spoke with High Notes about this homecoming and the challenge of staging Tchaikovsky’s masterpiece. What made you want to direct Onegin in particular? This opera has a very special meaning to me. I sang my first Eugene Onegin with Manitoba Opera Chorus in Winnipeg in 1991. 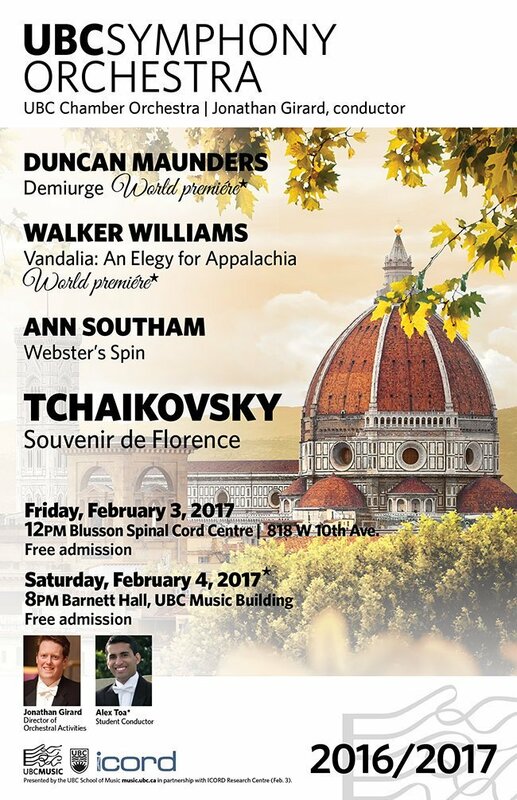 Serendipitously that production was conducted by David Agler [who also conducted the orchestra for UBC Opera’s 2017 production]. This was my first professional opera in Canada. I did not speak much English at the time, but I could sing and speak Russian… then I performed the lead role at UBC in 2005. So coming back to UBC to direct Onegin was a dream come true. I just love this score perhaps because it is so special to me in my personal and professional life. This opera will always hold a special place in my heart. My favourite part of that 2005 production was Professor Nancy Hermiston’s staging. Our set was quite limited that year so the blocking had to be very imaginative. I remember thinking how well thought out this entire production was. I have to admit that when I planned my own blocking for this production, I had a hard time not imitating certain moves from Nancy’s 2005 original. I remembered them so well and of course I still had my old markings in the score. I still created my own vision of the opera, but I was certainly influenced by Nancy’s ideas. Are there specific challenges that Onegin presents for a director and the performers? Technical or otherwise? It is a difficult piece. The main challenge has to do with the Russian text and Pushkin’s original in particular. Tchaikovsky took most of the text straight out of Pushkin’s poem in verse. Conversational Russian is not easy for Canadian singers, so singing it in poetic verse is that much more challenging for students. On a dramatic level, this is a very grown-up piece. Young singers are required to portray very subtle emotions with strong emphasis on poetic nuance. It requires experienced singers who can act. "This is essentially a professional opera company with outstanding faculty, excellent professional team, and access to tremendous theatrical resources." Also, this opera has a lot of stylized dancing in it. The act three Polonaise is very well known as a concert piece. But there is also the Mazurka and the large harvest scene in Act 1. We actually had to choreograph the dances with singers who do not have much dance experience. It took us some time, but we did it. Everyone took really well to it also learning some new dance steps in the process. How does one approach a canonical opera with an eye to making it fresh? I think this opera has a very fresh quality to it as it is. The score is very unique. It cannot be compared to anything else in the operatic canon. It’s full of sensitive lyricism, fantastic melodies and real passion. The language is absolutely gorgeous, and Tchaikovsky really captured the essence of real Russian life in the 19th century. It’s a great European story turned into a real operatic gem. Can you talk about the experience of working with the student opera company? That’s always a real challenge. Maintaining high artistic standards, teaching through the creative process, sticking to a short schedule, and staying faithful to the composer’s original intent — that’s a tall order. However, UBC Opera is not an ordinary student opera company. As far as I am concerned, this is essentially a professional opera company with outstanding faculty, excellent professional team, and access to tremendous theatrical resources. I am so impressed with the opera program, its system, and how well it functions. UBC Opera students are all exceptional singers. They are extremely hard working, always very well prepared, and ready to put on a great show. Technically this is a student environment, but it has a real professional edge to it. I am very proud of this ensemble and that I could be a part of it. We are finishing the semester soon so this is a very busy time. We just finished a production of Magic Flute at UNF. In April I will sing four solo art song recitals in south Florida, and prepare UNF Opera for our trip to Czech Republic in July. We are scheduled for La Boheme and Barber of Seville so students are very excited. On a personal note I am accepting an American citizenship this spring and applying for a full professorship at UNF.